Three Palms Lodge is a 2 minute walk from local shopping and dining options, 5 minutes drive from Manukau Velodrome, Clover Park, Vodafone Events Centre, Rainbow's End theme park and Auckland Botanic Gardens. It is 10 minute drive from Mt Smart Stadium. Otahuhu Recreational Centre is a 5 minute drive from the property. The Manukau Velodrome (bicycle racing track) is a 285m concrete oval with 42 degree banked turns. It was originally built in 1989, in preparation for the 1990 Auckland Commonwealth Games. 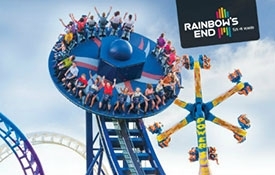 It's fun on demand at Rainbow's End! With over 20 rides and attractions, there's something for everyone, every day of the year except Christmas Day. If you are a thrill-seeking enthusiast, the Stratosfear, the latest ride, is just for you. Or if you'd like something to suit the entire family, perhaps the Log Flume or Pirate Ship. 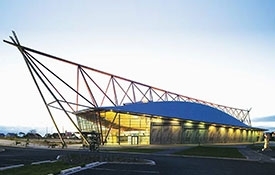 Vodafone Events Centre is a multi-purpose event centre located in Manukau, with an indoor arena, theatre and meeting halls hosting community, cultural and sports events, concerts and plays, exhibits, trade shows and expos, corporate functions, meetings, weddings and other special events. The Auckland Botanic Gardens are located on Hill Road, Manurewa, covering 64 hectares (156 acres) of land, including 10 hectares of native forest. 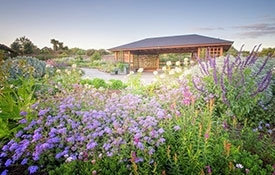 A focus on creating unique gardens and landscapes has resulted in a spectacular garden with a distinctive South Pacific flavour. Mt Smart Stadium hosts a wide variety of sporting and entertainment events and international musical acts. The two main arenas are used for various activities including athletics, football and rugby league. 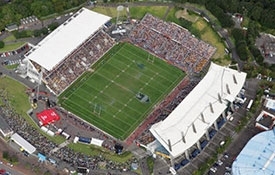 Three prominent sports groups: the Vodafone Warriors, Auckland Football Federation and Athletics Auckland use Mt Smart Stadium as their home base.